Tramadol, a synthetic opioid painkilling drug is not banned in sport under World Anti Doping Agency regulations. It is however, rather controversial. Over the past five or so years there have been several calls for it to be banned. This week it has been reported to have been used in racing dogs! What is tramadol and why hasn’t it been banned? 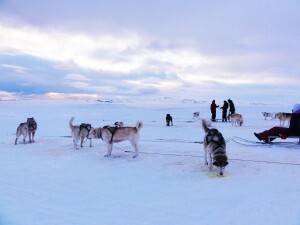 The Iditarod dog sled race is contested over 1000 miles in Alaska each March. This week it was revealed that a team of dogs had tested positive for tramadol in samples taken after the race. These were the first positive samples in the history of the race. The dogs obviously didn’t choose to use the drug themselves, which means either the controller (musher) or a competitor gave the dogs the drug to either enhance or inhibit performance. Tramadol has also been in the sports anti doping news the past few weeks after the World Anti Doping Agency (WADA) decided not to include it on the list of prohibited substances for 2018. Tramadol is a painkiller, used medically for the treatment of moderate to severe pain. It has many legitimate uses , sitting somewhere between codeine and morphine on the scale of painkilling effect. In sport it is used to numb pain, meaning it can help push through a bit more than if you were not using it. This is a potential for harm of an athlete in many sports, where pushing on more could lead to more serious injury. WADA have been looking into banning tramadol since 2011. It was included on the ‘Monitoring List’ that year so they could gather some data on how widespread it’s use was. Is it used and abused in sport? In 2013 a cycling group called ‘Mouvement Pour Un Cyclisme Crédible’ (MPCC, translated as ‘The Movement for Credible Cycling’) wrote to WADA asking for tramadol to be included on the banned list the following year. They assert that “side effects of Tramadol on vigilance are well established” which is not ideal for racing cyclists (or indeed in many other sports). They also wanted to see the results from the monitoring programme. The WADA response suggested that tramadol had been discussed but would not be banned at that point. The number of samples containing tramadol is significant and the very large majority of them originate from cyclists. These figures, however, are the result of less than 2 years of monitoring. Therefore, before considering further reviewing the status of tramadol, the List Expert Group has decided to monitor its use for another year to collect more reliable data. Ethics, fairplay and honesty; health; excellence in performance; character and education; fun and joy; teamwork; dedication and commitment; respect for rules and laws; respect for self and other Participants; courage; community and solidarity. In the intervening years there has been a focus on tramadol in cycling. An interview with an ex Team Sky rider is interesting in his views on the teams “unethical” tramadol use from 2010-12. Since then Team Sky have stopped using it in competition and called for a ban. The US Anti Doping Agency and UK Anti Doping (UKAD) have both also called for outright bans. WADA have again included tramadol on the monitored list for 2018. I talk about the 2018 list and how it is assembled in the video below. WADA replied to the MPCC saying they had considered a ban, but as it was a legitimate treatment it was rejected. Tramadol was considered for inclusion on the List but, as it may be legitimately prescribed as part of a therapeutic regimen in certain situations, the majority of stakeholders felt that it should not be prohibited but rather be regulated by physicians, and physician groups, as part of proper medical practice. This appears to me to be a bit of buck passing. Yes it is a legitimate therpaeutic drug in certain situations. So is EPO, which is banned at all times in sport. So is testosterone, which is banned at all times in sport. So is tamoxifen…. You get the picture. There are a lot of drugs which are therapeutic but are also prohibited in sport, for many reasons. Leaving it to self regulation is tricky, especially when not all of the tramadol used will be prescribed directly, it’ll be diverted or black market. Another issue with drugs not being on the banned list is that it is perceived as safe and allowed. If it isn’t banned it is allowed. It is a grey area, not banned but not supposed to be used. I have seen a forum saying that because it isn’t on the banned list it is “USADA-WADA Approved“. Not quite the message they would wish to send out I’m sure. Will it be banned? It won’t be now until 2019 at the earliest. OK so it isn’t the most performance enhancing drug and it hasn’t led to deaths that we know of in sport but it meets the WADA criteria for being banned. In a video shown below I discussed the process that is used to evaluate whether a drug should be banned.